Her pregnancy had been unremarkable up until this time. Does this make you worried? How would you investigate this patient? How would you treat her? Yes, this is concerning. We need to exclude possible HELLP syndrome. -Urinalysis for proteinuria: remember absence of proteinuria does not exclude pre-eclampsia or HELLP. If findings are consistent with HELLP, then treatment is delivery of baby & supportive cares for mother. This woman did have HELLP. She went for an emergency caesarean section, & delivered a healthy boy. 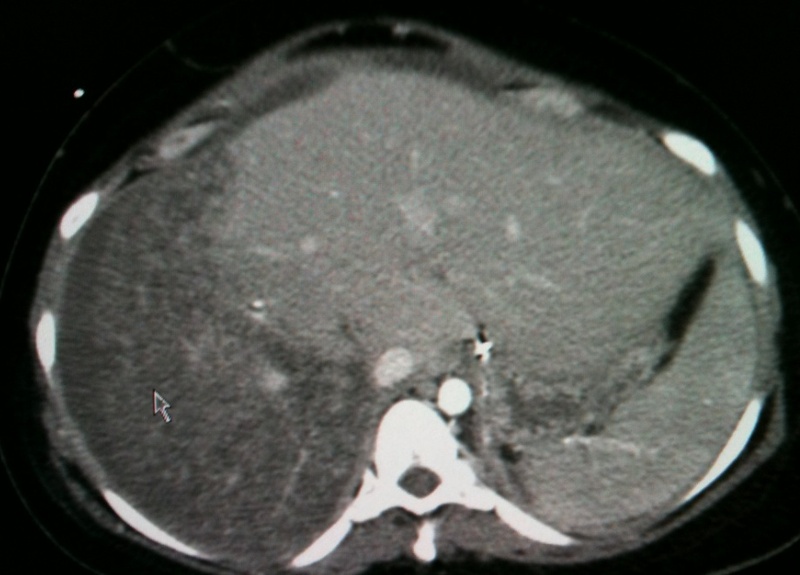 Her post-op CT scan shows massive hepatic haemorrhage. 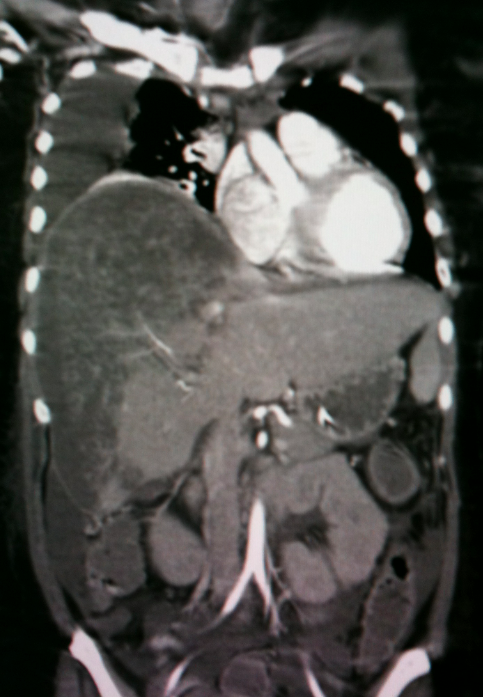 She had a long ICU stay for complications relating to hepatic dysfunction due to the sheer size of her haemorrhage, but eventually went on to make a full recovery. Radiology Case 3NEJM Decolonization Paper: You've changed the Stats!